Supplier diversity drives revenue and promotes economic inclusivity. How can your organization take advantage of these benefits? 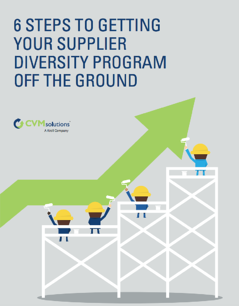 Although setting up your supplier diversity program may seem like an intimidating and time-consuming venture for your organization, it doesn’t need to be. Learn the steps you need to follow to launch your supplier diversity program quickly and effectively.